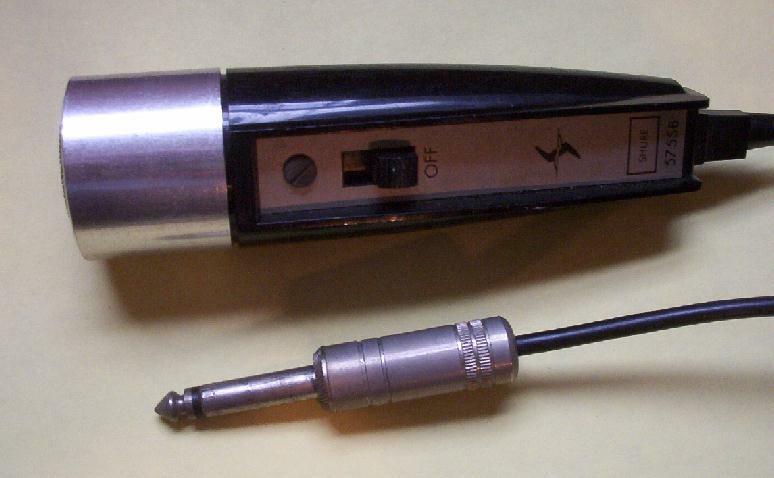 ASTATIC: A very dependable and great-sounding mic made by Astatic, the company that brought you the JT-30. 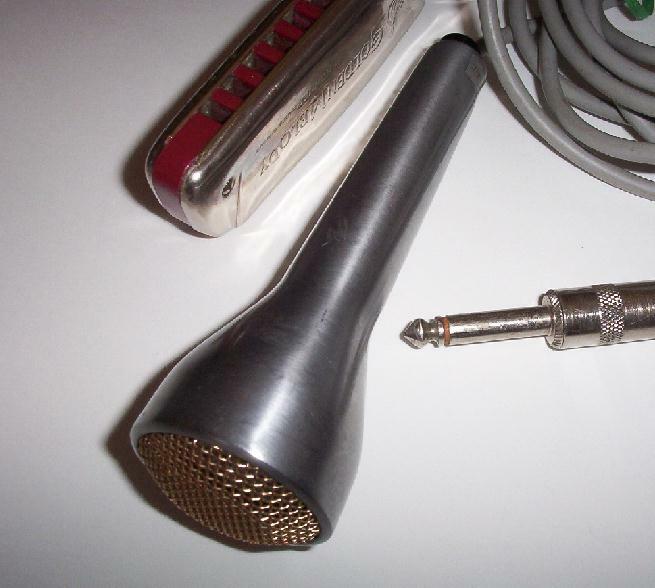 This grey mic with chrome band and wire mesh grill is in excellent condition and sounds great! 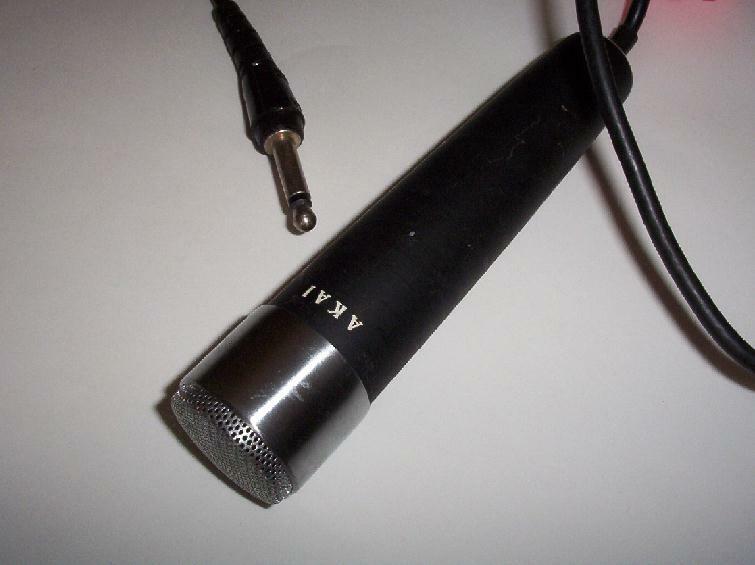 It's a smaller mic that measures 4 1/4 inches long, very easy to cup! The grill is square shaped and measures 1 1/4 inches. 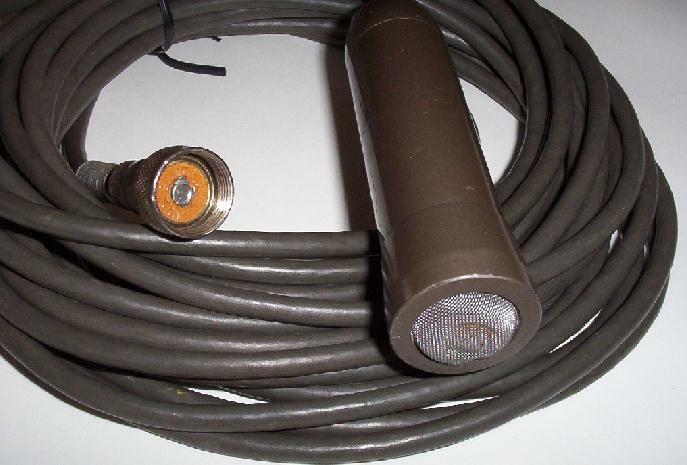 Comes with a 4 1/2 ft cable ending in a 1/4" male plug. You won't be disappointed with this mic! SOLD! VOICE OF MUSIC: I've sold quite a few of these mics to beginning harp players as well as gigging players who want a jam or rehearsal mic that is low-cost but still sounds great. 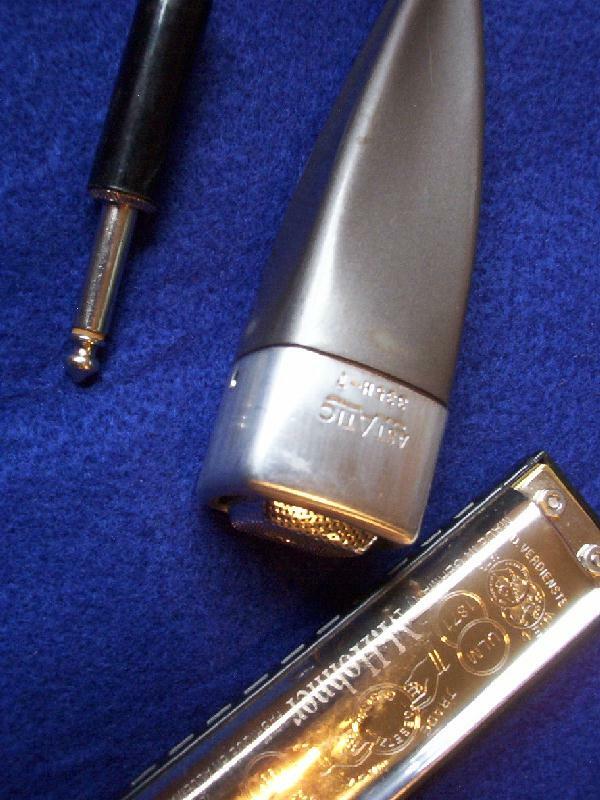 Very nice-looking, sturdy, brushed-chrome body (5 inches long) with a gold wire-mesh grill (1 1/2" diameter). Tulip shape is easily cupped by small hands, even kids. It has a 10 ft long cable ending in a 1/4" male plug. Ready to plug in and play. SOLD! No part of this website may be reproduced without prior permission.